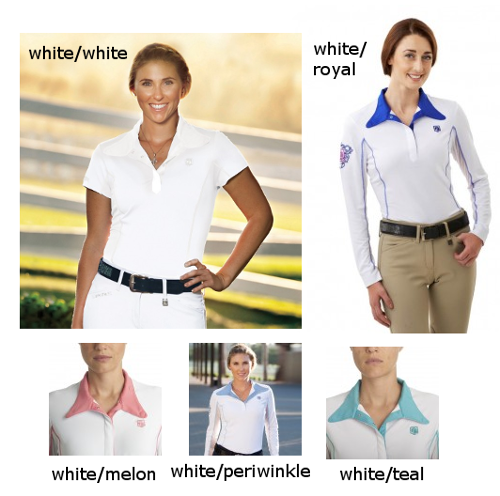 Made with a moisture management fabric that will keep you cool, comfortable, and looking your best on show days. Contrast piping that follows a princess seam line on the front adds a pop of color and a flattering fit. A crisp, woven wrap collar and cuffs ensure a clean look under your show coat. KL ProAir fabric was created with the competitive rider in mind. 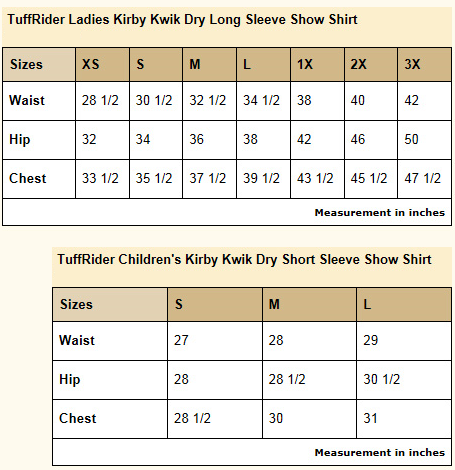 This ultra soft, stretchy fabric is light weight, breathable and wicking. 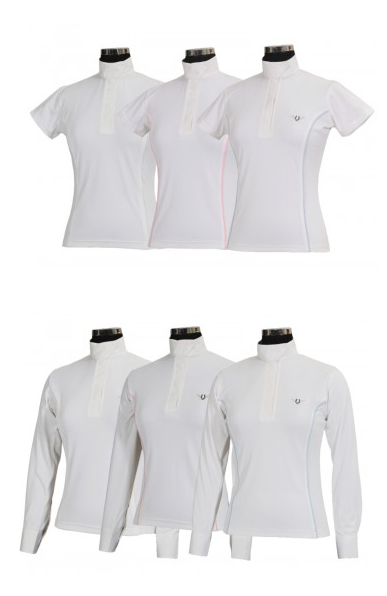 Designed to keep you cool on the hot days and warm on the cool, the ProAir fabric is so comfortable, it feels like air! Long sleeves have the signature Kathryn Lily snap up sleeve and a snap up collar. The adult and chlidren's long sleeve shirt is available in Sky Blue and Raspberry. 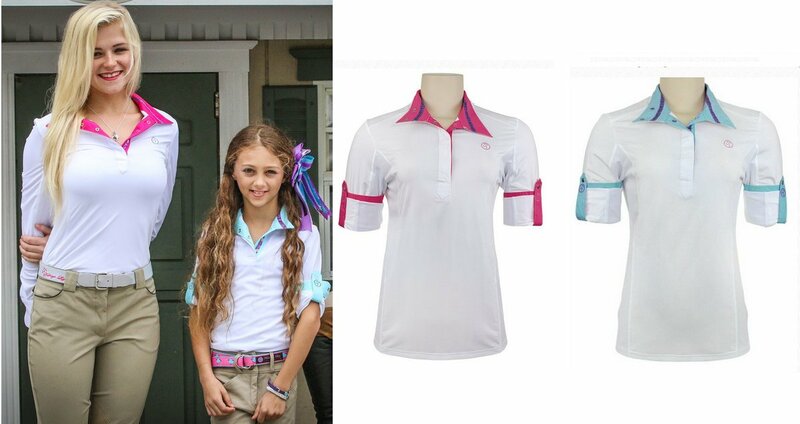 Collar and placket are embellished with a Kathryn Lily pattern ribbon which adds the perfect touch of fun sophistication. I have Small Ladies shirts available in Raspberry and Sky Blue. Throw this on under any show coat to look sophisticated and add versatility. 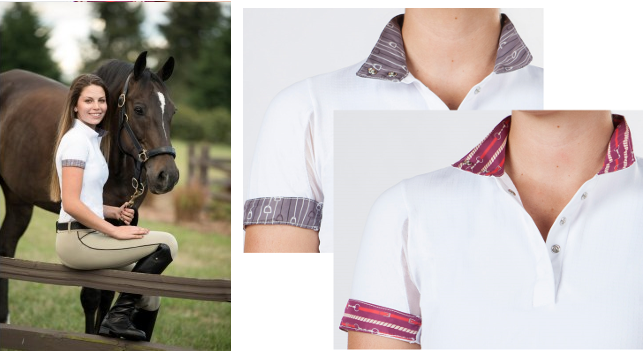 If you’re wanting to spice up your look, fold up your cuffs to reveal our exclusive equestrian-inspired patterns. In addition to this fun accessory, we utilized fabric technologies to keep you cool, comfortable and protected.